HDIS: How much water should you drink each day? 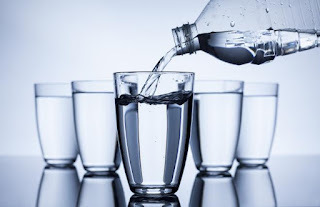 Water is necessary for carrying nutrients to your cells, flushing bacteria from your system, preventing dehydration, and replacing fluids lost from sweating, but you may not need to drink as much as you thought. The Harvard Health Letter published new water recommendations challenging the long-standing eight 8-ounce glasses-a-day rule, which they say weren’t based on science, but instead an educated guess on what the body needs to stay hydrated.